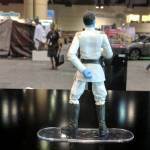 At Star Wars Celebration, Dave Filoni, the executive producer on Star Wars Rebels (and The Clone Wars) revealed a highly anticipated new figure. 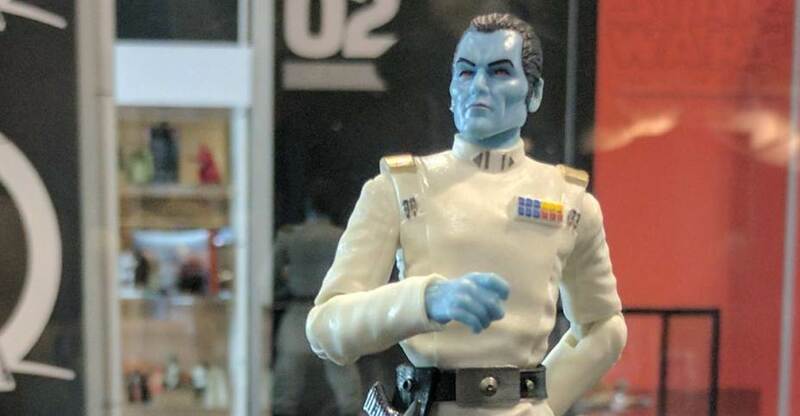 Check out our first look at the Star Wars Black Series 6″ Scale Grand Admiral Thrawn Figure. The image comes courtesy of @ThePirateSteven on Twitter. We’ll update with more details when we have them. Click the banner image above to check it out. Added some better photos courtesy of @FlyGuy on Twitter. Read on to see a few, and check the link for even more. HEEEEEELLLLLLLLLL YAH! Thrawn was the best villian the eu had. 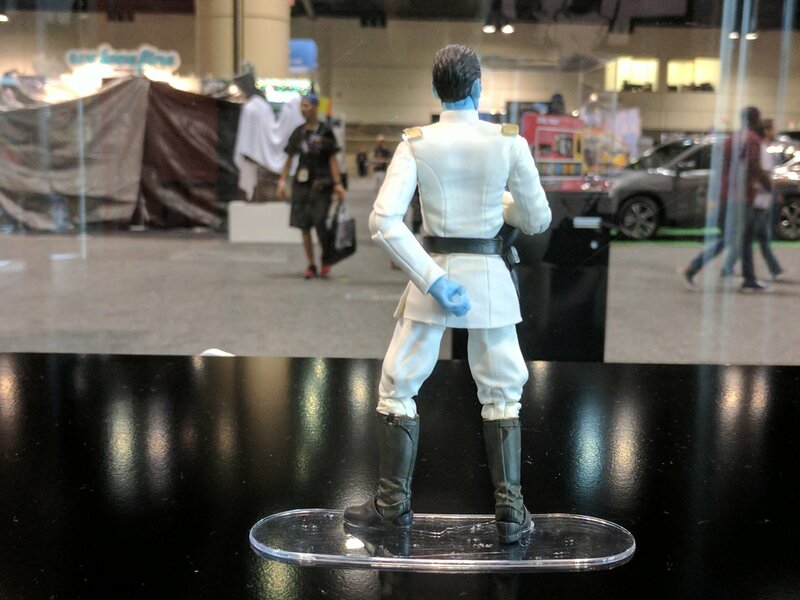 Hes okay on rebels but he seems a lot less tacticianal then in the books. Glad to see hes getting a fig. Im gettin him for sure! Neat, still waiting on Tarkin. 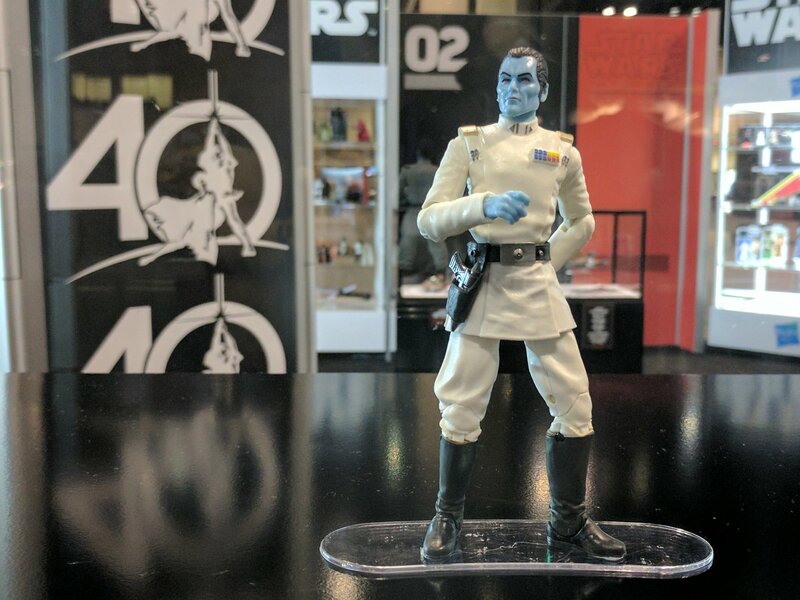 I'll get this because Thrawn was a great villain but Tarkin really does top my Imperial wish list. And they gave LUKE SKYWALKER a cloth robe rather than sculpt it. This guy gets a sculpted uniform but LUKE did not. Hasbro, you got to be kidding!!!!! The Imperial uniform is relatively tight-fitting, and would be hard to do remotely satisfactorally with soft goods unless you're Mezco. Luke, on the other hand, has a very loose-fitting tunic/shirt, that is far easier to do in soft goods without it looking absolutely dreadful. I like it. I think it will look good with Krennic. I may be tempted to remove Krennic's soft goods cape though. I wasn't crazy about that cape to begin with. Seeing how good this looks motivates me to do so. I hope this isn't an exclusive. Interesting that it isn't a re-use of the Krennic figure like people assumed it would be, comparing it to my Krennic I can't see any re-used parts except maybe the belt. Krennic's cape isn't soft goods, it's a soft plastic. Awesome, now I can put my figures to sleep with this uninteresting, monotonous loser. You mean the guys who can't even get Flash's belt right and make their heroes look like grand parents? I don't agree with your opinion on those aspects of Mezco figures, but even if I did, I wasn't talking about them (the sculpted aspects), I was talking about the soft goods. Looking forward to never seeing this guy at retail because the Rogue One wave will be clogging the pegs for at least the next decade. I guess I will start praying that Japan will get whatever wave he's in now. I'm still waiting for Revan and Sabine to show up. I was at stores in four different states in the last week and not a single one of them had anything beyond C3PO and Krannic. You could say the same about any SW villain. Eventually, plot demands that they all succumb to the heroes' superior luck and pluckiness. Revan with his giant melon and Sabine with her cartoonishly tiny feet and sticklike limbs? Trust me, they're not worth your money. His head's not big it's his hood. This is actually kinda faithful to the original KOTOR as Revan's hood does sit taller than his head, although Hasbro I think did this effect too much. Last time I checked, the Inquisitors, Darth Vader, Palpatine, and Darth Maul did not drone on and on in a monotone voice for 20 episodes about how the rebels were going to die and then not accomplish jackshit. Hell, Grievous did more than Thrawn and he was a coward. They look fine to me from the pictures I have seen. 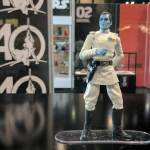 So I guess Thrawn and Tarkin are going to share the same body? Different torsos, the same arms I think and possibly legs. never seen this persona in the star war movies? He's a fan-favorite character from the Expanded Universe, who recently got re-canonized in the new canon in Star Wars Rebels. I think I actually like the 5POA Rebels sculpt more... the Rebels version makes him look more freakishly thin and alien IMO. His normal realistic look makes him look more frost giant-ish. 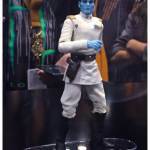 Well the Rebels Thrawn toy is using his Rebels cartoon design which is more cartoon-like. It is a more exaggerated, alien looking design. 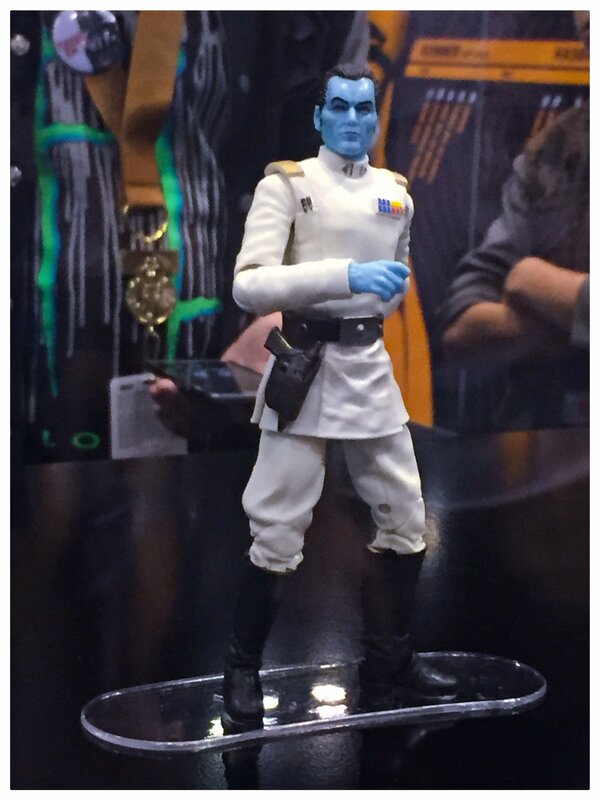 This Black Series figure kinda just looks like it's using his old design, which is just a blue guy. ohh ok, thanks for the info, where do they show 'rebels' cable tv?